Our Best Answer - How do I correct an error on my application? 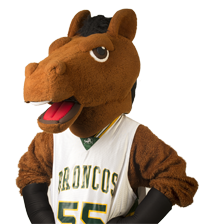 If you have made an error on your Cal Poly Pomona application, such as incorrect social security number, email address, residency status, courses, grades, please send the correct information with your full name and Bronco ID by email to admissions@cpp.edu. To make changes to your application regarding your first and second choice major, you will receive an email from the Office of Admissions & Enrollment Planning with instructions. The deadline for changing first and second choice major is December 31. To make any other changes on your application, please contact Admissions & Enrollment Planning.